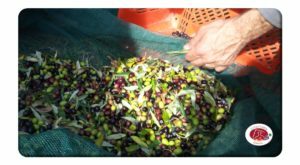 Our oil, fruit of the labors of a whole year … The olive is harvested by hand using pneumatic facilitators during the period of low ripeness, brought to the mill and processed within the next 12 hours. Before proceeding with the processing the Olives are defoliated and washed. The milling is carried out by cold extraction with a continuous cycle crusher to preserve the organoleptic characteristics at their best and prevent initial oxidation. The whole process takes place at a temperature that never exceeds 27° C to never alter the substances contained in the fruit and the quality. The cultivated cultivars are native varieties of our area: Frantoiano, Moraiolo, and Leccino. The oil that flows from it has a strong taste, fragrant and with a very low acidity. Its mild filtration means that there are no residues but at the same time you do not lose aromas. Serving suggestions: it is an ideal bruschette companion, it enriches the taste of meats and fish in an excellent way, as well as being used raw on soups and minestrone. Are you wondering why cans and not bottles? 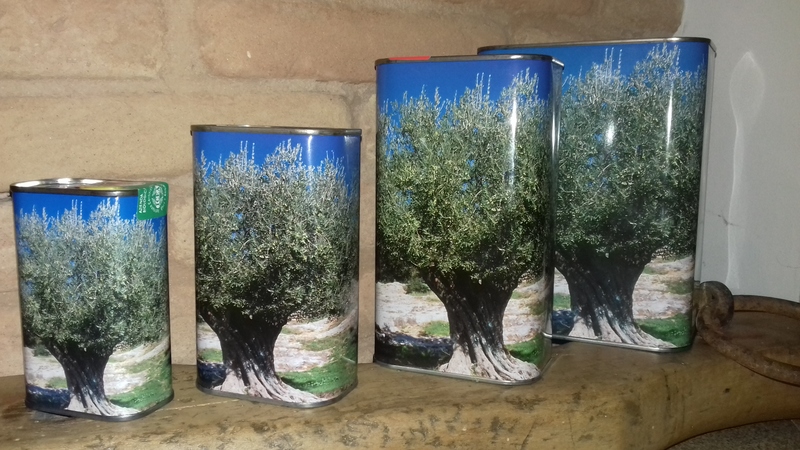 The reasons are varied, the overall costs of recycling the container are socially inferior to glass, the can is unbreakable, and moreover the oil that is internally better preserves its properties because more sheltered from light, one of the main causes of aging of the ‘oil.